Shantelle Davidson, a singer-songwriter known for her pure and sweet vocals, has the ability to engage audiences of all ages. Opening concerts for artists including Chad Brownlee, George Canyon and Diamond Rio - she has leaped onto the country scene! Shantelle had a busy 2016 – A CBC Searchlight Regional Finalist, a Top 10 Nashville North Star Contestant Calgary Stampede and a Top 12 Project Wild Finalist in conjunction with Alberta Music. Davidson recorded her solo debut album at MCC Recording Studios in Calgary, late 2015. The album is produced by four time CCMA and Juno Award winner, Clayton Bellamy of the Road Hammers and engineered by multiple CCMA and Juno Award winning producer, Scott Baggett. Shantelle’s second release, “Faster Now”, has been played close to 300 times at BDS monitored radio and 1,000 times across Canada, including the US. Her most recent single “Gone” is a sassy rendition of a break up, that will surely have you singing along. David Lee Murphy's "Dust On The Bottle" and "Party Crowd" have become staples at country radio and have gained a permanent spot on the repertoire of every country music cover act. "Party Crowd" was the most played song on country radio in 1995 and "Dust on the Bottle" spent two weeks at number one. Both songs were on Murphy's debut MCA album Out With A Bang which went platinum and became the best-selling debut album by a male country artist in 1995. That same year The Academy of Country Music nominated Murphy for Top New Male Vocalist. Growing up in Herrin, IL, Murphy honed his songwriting skills at an early age by studying the songs of his musical heroes Waylon Jennings, Willie Nelson, Merle Haggard, Johnny Paycheck and others. After graduating from Southern Illinois University, he moved to Nashville and spent the next ten years writing songs and performing in clubs. His first taste of songwriting success came when Reba McEntire recorded "Red Roses (Won't Work Now)" for her Have I Got A Deal For You album on MCA. Reba’s producer & MCA President, Tony Brown, was a fan and frequent attendee of Murphy's live performances and eventually signed him to a deal with MCA Records. Brown produced Murphy's three albums for the label which spawned the hit singles “Dust On The Bottle”, “Party Crowd”, "The Road You Leave Behind", "Every Time I Get Around You" "Out With A Bang" to name a few . His debut single, "Just Once" was included in the motion picture Eight Seconds which starred Luke Perry as world bull riding champion Lane Frost. His song "We Can't All Be Angels", from the album by the same title, was featured in the motion picture Black Dog which starred Patrick Swayze, Randy Travis and Meatloaf. After a three album stint with MCA, Murphy moved to indie label Audium/Koch and quickly returned to the Top 5 with his debut single "Loco" from the album Tryin' To Get There. The album's title track was penned by Murphy and Waylon Jennings. Soon after the release of the second single the label folded and Murphy decided to concentrate on songwriting for other artists. Murphy quickly became one of Nashville's most in demand songwriters whose compositions have been recorded by many of today's country music superstars. Kenny Chesney's "Living In Fast Forward" and "Live A Little" as well as Jason Aldean's "Big Green Tractor” & “The Only Way I Know” (featuring Luke Bryan & Eric Church) all landed at the top of the charts. His song "Are You Gonna Kiss Me Or Not" was the first # 1 single for Thompson Square and quickly established the duo as a top selling act. The song garnered two Grammy nominations and six nominations for the 2011 American Country Music Awards. Murphy's "Hell Yeah I Like Beer" as recorded by Kevin Fowler stayed at the top of the Texas Music Chart for six straight weeks and his compositions "Always The Love Songs" (Eli Young Band) and "Way Out Here" (Josh Thompson) became the first Top 15 Billboard country singles for each artist. Other songs from Murphy’s catalogue that became successful singles include, “Anywhere With You” (Jake Owen), “Pirate Flag” (Kenny Chesney), "A Feelin' Like That" (Gary Allan); "The More I Drink" (Blake Shelton); "On A Mission" (Trick Pony) and "People Like Us" (Aaron Tippin) among others. Murphy's songs have also been recorded by Brooks & Dunn, Brad Paisley, Montgomery/Gentry, Ronnie Dunn, Rodney Atkins, Chris Young, Hank, Jr., Florida Georgia Line, Chris LeDoux, Jamey Johnson, Casey James, Joe Nichols, Colt Ford and others. 1 When not writing, Murphy is often in the studio producing demos of the songs he has written many of which have caught the ear of music execs and artists alike. Kevin Fowler and Ira Dean (formerly of Trick Pony) have both enlisted Murphy to produce songs for their recent projects. Murphy plans to produce other artists in the future. His rigorous songwriting, recording and production schedule leaves him little time for touring. But the occasional David Lee Murphy live concert is still the raucous, rowdy performance his fans have come to expect and appreciate. Murphy performs his hits as an artist as well as songs he has penned for other country superstars making his concerts a virtual 'greatest hits' performance. His tours have taken him across America, Canada, Australia and France. When not focused on the music, Murphy enjoys spending quality time with his wife and three sons on their farm south of Nashville. In a recent interview Murphy stated, “My family keeps me grounded and working the farm provides a source of relaxation and inspiration”. It was, after all, while riding on his 'big green tractor' that Murphy came up with the idea for one of Jason Aldean's biggest hits to date. Lonestar has always set the bar high, but Never Enders exceeds expectations. “It’s always a challenge,” says Richie as they gather one quiet morning at The Band Cave. “But when we’re writing, we always try to stay true to how we’ve done it in the past sonically and lyrically, while still looking to take what we do to new levels.” The exhilarating affirmations of the title track “Never Enders,” the haunting reflection on time lost in “My Own Hometown,” the emotional honesty of “Us,” their playful, grin- teasing riff on modern love in “I Want a Love” and their tribute to all the gorgeous lady bartenders they’ve known on “Boomerang” — each song on Never Enders mixes artful craft and the poetry of plain speech, each melody rings clear and all of it reminds us of how emotionally powerful country music can be. “We come from an era of phenomenal songs,” says Michael. “When we got our first record deal, people like Gretchen Peters and Mike Reid were writing amazing stuf. I think we just want to aspire to that level of songwriting more than follow what’s on the radio these days.” Excellence in writing, strong lead and harmony vocals, exuberant instrumental tracks — all the Lonestar essentials resonate throughout Never Enders. But there are some new twists as well, which give this project a special significance. It is, for example, their debut recording for the Shanachie Records. “We initially presented them with six songs because we were originally just going to put out an EP on our own 4 Star label,” Dean explains. They said, ‘This is great! You’ve got to do a full record!’ And they sent us back into the studio to finish out the album. I’m glad we did because we came up with some great songs that wouldn’t otherwise have seen the light of day.” “I’m glad we did the album instead of an EP because that’s what our fans expect from us,” adds Richie in the first of several affirmations that morning of how central their supporters are to all they do. Another milestone is the song “I Want A Love” — the first in Lonestar’s vast catalog to be written by all four members. “We were doing a sound check,” Dean recalls. As I walked on stage Michael was playing this cool guitar riff over and over. I immediately grabbed my phone and recorded what he was playing.” Michael takes it from there: “So Dean, Richie and me were writing one day and before we got started Dean said he had recorded something at a sound check that I was playing he thought was cool. After he played it for us Richie said, ‘You know what? Keech called me the other day with an idea I think could be really good: “I want a love that I can sink my teeth into.”’ But we changed it to ‘a love I could sink my heart into.” Keech jumps in: “I was a driving down the road and the idea just popped into my head: ‘I want a love that I can sink my teeth into.’ It sounded kind of creepy, but I still called Richie and asked if he’d ever heard a song with that hook in it. He said, ‘Not that I can remember. That’s a good idea.’” “So,” Dean concludes, “we ended up taking Michael’s guitar riff and Keech’s hook and turned into ‘I Want a Love.’” There are stories behind every song on Never Enders — the TV commercial that inspired the title and concept of “I’ve Been Wrong Before,” the last-minute scramble that perfectly filled a sudden gap in the album with the up-tempo rocker “Twice” and so on. On the road as a solo artist, and as a front for the band Sweet Tequila for over a combined 13 years. Mychela is now pursuing a solo career & back at it full force bringing you the experiences of her life. Mychela has performed across Canada, through the States, and the Caribbean, shared Stages with "Julian Austin" "Aaron lines" "Shane Yellowbird" One of the great Canadian Rock Bands "Harlequin”, And The Scottish Greats” "Nazareth". She is a seasoned performer in every realm. Casi Joy is a powerhouse country singer/songwriter from Kansas City, Missouri. Casi (pronounced "KAS-ee”) has been performing since the age of 5 and has had a wide range of success in several genres. At the young age of 10, she began singing in the Midwest Opry Circuit and was picked up by Radio Disney three years later. She sang in the Disney girl group The Commotions until she began at the School of Rock as a 15-year-old. Casi stayed in rock music for several years, and recorded an album with world renouned producer Michael Wagener (Metallica, Ozzy Osborne, Skid Row, etc.). However, after moving to Music City on New Year’s Day 2015, she’s come belting back into the country scene, cracking open the heavy door that stands between aspiring artists and industry recognition. This vibrant songbird has opened for Brad Paisley, Rascal Flatts, Craig Morgan, Chris Cagle, Montgomery Gentry, Jerrod Niemann, LOCASH, Josh Thompson, Dustin Lynch, Chaka Khan, Arcade Fire, The Baha Men and more. She also regularly sings the National Anthem for the KC Royals, (ALCS Game 6 W/ Clay Walker), KC Chiefs, KU and Sporting KC. The fiery redhead composes her own songs, incorporates her dance background into her stage performances and plays the guitar and piano. Casi has also become a viral internet sensation with her cover of "Jackson" by Johnny Cash and June Carter. The video garnered over 10 million views in just a week's time, and the numbers have yet to plateau. After the success of "Jackson" Casi released another Johnny and June cover, which is currently at 4.1 million views. Not only does the vocalist use music and writing for her own personal therapy and enjoyment, she is very avid about using music to help children and animals. Casi has performed at several charity functions including Craig Morgan's foundation for foster children, Autism Speaks, Pediatric Cancer Research, Northland Animal Welfare, American Cancer Society, Suicide Prevention and more. Casi has always had a love for children and education and has a bachelor's degree in Early Childhood Education. She worked as a music teacher for the School of Rock for 7 years, teaching voice, piano and guitar. She has continued to use her music for admirable, positive and respectable causes, teaching free music lessons to a special needs class in her hometown of Smithville, MO. 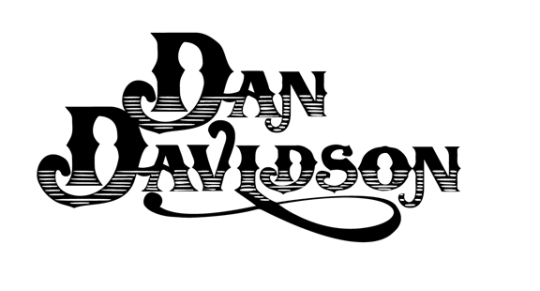 Alberta’s newest up and coming country sensation Dan Davidson exploded onto the Canadian country scene in 2016 with the release of his second single “Found” (Co-written by Clayton Bellamy of The Road Hammers). Dan became arguably the indie story of 2016 as his single “Found” rocketed up the charts and he became the #1 charting indie artist in Canada. By June 2016, “Found” reached #22 on the charts and was the 8th highest charting Canadian song in the country. The hit single also went to #57 (so far) on the Shazam charts across all formats and hit #18 on the iTunes sales charts. The future is bright for Davidson. Already in only 2 years of being involved in the country music scene, his name is right up there on the charts with some of the top artists in north America – and he has found a way to do it 100% indie. Dan is new to the country scene, but is far from “green” in them music industry. He spent 10 years playing in the well-known Canadian indie rock band Tupelo Honey (who had several top 40 hits, top selling iTunes records and toured with bands like Bon Jovi). On the advice of a couple long time friends (who happen to be top selling Canadian country artists), Dan decided to start focusing on his new country project. Dan’s sound came together as he started writing and working on music with Toronto producer Jeff Dalziel (Alee, Andrew Hyatt, Autumn Hill, Brett Kissel) and the two spent the better part of a year developing an EP that’s characteristic of Dan’s love of “good time” music.“ I love country music because it’s not about being cool, it’s about feeling something. It’s about having a good time and connecting with people. Country fans love live music, and are loyal to the artists they love. You can catch Dan sharing the stage in 2016 with artists like John Pardi, The Washboard Union, Kira Isabella, Beverly Mahood, George Canyon and many more! 2016 Festival season included Canadian Music Night at the American Tours Festival in Tours, France as well as domestic festivals like CMT Music Fest (Kitchener ON), Cavendish Beach Music Festival (Cavendish, PEI), Country at the Creek (Big River SK), and Porkapalooza BBQ Festival (Edmonton AB). Strap yourself in and hang on The Road Hammers are back with Wheels (Open Road Recordings), a record that will resonate deeply with anyone who ever up and shook the dust off their boots and hit the road just for the hell of it. Scheduled for release on June 3rd, Wheels is a tight set of raw and uncompromising tunes that telegraphs the unique sense of freedom found by getting behind the wheel of something, anything, and getting the hell out of Dodge. Nowhere is that more evident than on Wheels second single 'Mud,' a track dedicated to people who love getting dirty at high speed on motorbikes, trucks, hot rods or whatever they can fire up and head out on. "The album's called Wheels for a reason," says Jason McCoy (vocals/guitar). We didn't want to write a song just about trucking, but about 4x4's, four-wheeling, dirt biking, you name it, and 'Mud' is an extension of that." Co-produced by Scott Baggett (Alison Krauss, Buddy Guy, Bonnie Raitt) and McCoy, Wheels covers a lot of ground. Like previous Road Hammers records it reflects the band's love of the road with a mix of 'Hammerized' covers including Steve Earle's 'Hillbilly Highway' (featuring Colt Ford), Geoff Mack's classic 'I've Been Everywhere,' and blazing originals like lead single, 'Get On Down the Road.' "But it didn't have to be a highway song to make the cut, it just had to have a certain energy," McCoy says, referencing the Hammers' cover of BTO's 'Let It Roll,' which boasts a killer vocal performance by BTO co-founder and bassist Fred Turner.